Weird how puzzle making works out sometimes. 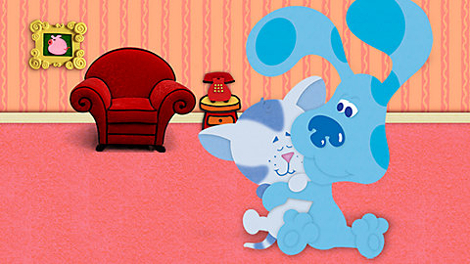 Put it this way: I wasn't expecting to run a puzzle called "Blue's Clues" on Thanksgiving. But, hey, logically it totally makes sense once you solve it. You'll get it, trust me. I guess that's one of the things I love about my job. I never know where it's taking me. Hopefully you enjoy the ride, too. Happy Thanksgiving, everybody. Have an extra slice of pecan pie for me, will ya? I plan on having two. Two whole pies that is.